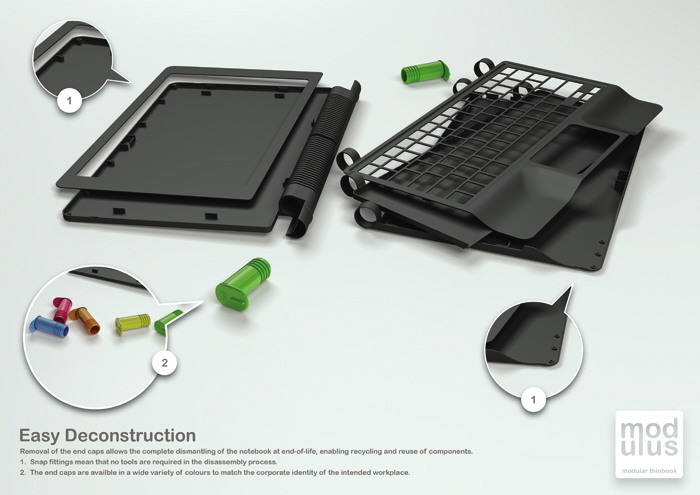 A product designer by the name of Ed Boaden has come up with an energy-saving laptop design that facilitates better air flow under the laptop, therefore reducing energy used by a cooling fan. The Modulus uses snap fittings rather than screws, which makes it easy to maintain and recycle when the laptop reaches the end of it’s life. The laptop has a lot in common with netbooks, in that it’s not designed to be a highly powerful laptop. It’s designed to be a thin client, and therefore will connect to a back-end server that will do the real crunching. The Modulus design also appears to be nice and light too, perfect for when you need a computer when out and about. 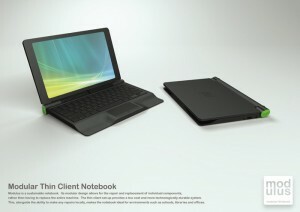 Like a thin client will be running Vista! But running vista is not everyone’s 1st choice. I personally hate it, and prefer Ubuntu or Windows XP.